I have one word for this book... incredible! The information given in this book is not only for the cancer patient, for but anyone who wants to stay healthy (thus preventing cancer). Dr. Quillin shares information for a healthy life in such a way that no one else ever has. One's spiritual life is renewed, as well as the physical. This is a MUST HAVE for every household. I was diagnosed with inoperable liver cancer in October of 1999 at the age of 22. Told by numerous doctors that there was "no hope." Severe back pain and a total lack of energy kept me in bed for most of the day... weight loss was rapid. I began chemo in spite of little precedence for success in using chemo in liver cancer. One month after diagnosis, began using Immunopower (the nutritional supplement developed by Dr. Patrick Quillin). Within one month my health took a dramatic upward turn. By January of 2000 the tumor had shrunk by 50%. Two months later, it had diminished by half again. I am now totally healed... a cancer survivor. Thank you God and thank you Dr. Quillin for such an incredible book! BEATING CANCER WITH NUTRITION played an important role in my healing. If the Head of Nutrition of the Cancer Institutes of America says something, you have to think he knows what he's talking about. If Linus Pauling says the information in this book is clinically proven, you have to listen! A person hit with a cancer diagnosis is initially lost, scared, and relying completely on his/her MD. That MD is probably an excellent mechanic, vital in the process, but has probably had zero training in nutrition or immunotherapy. He may even look askance at alternative and foreign medicine. Also, alternative, vitamin, supplement, nutrition, immune system information is scattered, word of mouth, attacked by the FDA, confusing. NO MORE. This book Organizes and presents all this disparate material, cites research, tells you what you need to be doing Now. It goes much further. The sections on misconceptions, toxic vitamin doses, best-to-bad foods are invaluable. The executive summary at the front is a great idea, the boxed stories of cures and the motivational blurb are written by a man who really cares and knows this stuff works. Finally, not all your food has to go through a blender, Thank you, Noreen. This is a wonderful book, your roadmap for taking charge of your health and defeating your illness. 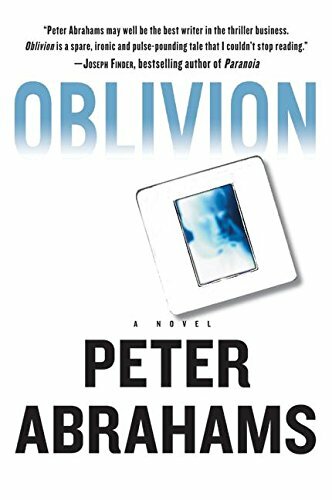 Buy it immediatly, get out some paperclips and a highlighter and change your life. beating cancer the natural way! Forget toxic and ineffective chemo and radiation therapy! 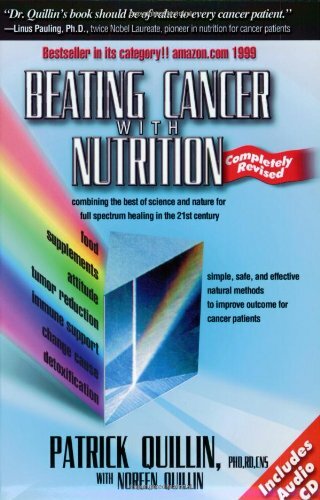 This book shows you how to use food and nutritional supplements to beat cancer.This approach isnt always successful and cures arent guaranteed,but it often works when conventional toxic treatments fail.The body has a remarkable ability to heal itself if you give it the nutritional fortification it needs.This book shows you how. Beating cancer with nutrition is giving the reader all the background information about cancer and how to best fight it. In addition, Dr. Quillin outlines his approach for nutritional therapy. The reader can choose to buy the supplements seperately or can buy Immunopower, a combination of powder (for shakes) and pills. Yes, Immunopower has been developed by Dr. Quillin and is quiet expensive. But buying seperately (and I have tried to do this) is even more expensive. Unfortunately, cancer is not an easy or cheap disease to fight. Dr. Quillin talks a lot about Immunopower in his book, but only because it truly is the best thing out there to fight cancer. I was diagnosed with Stage II breast cancer in Sept. 2002. At the time, I only underwent chemo without any additional nutrition therapy. My cancer metastasized and by January of 2004 I was back in chemo. This time, I had met some increadible cancer patients who had battled cancer with the help of Immunopower. I started to take the supplements myself right away. My tumor has since dissapeared!! My doctor called it highly unusual. I am 38 years old, mother of a 5 and a 9 year old boy. My doctor initially felt, that I might at most have 2 years more to live. He is now more confident than even I am, that I will live to see my own grandchildren. My husband is now taking ImmunopwerEZ, just as an insurance. Health, unfortunately, is not cheap, but rather worth every last penny. 5. 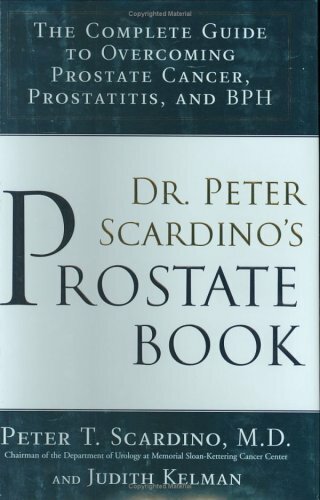 Dr. Peter Scardino's Prostate Book: A Comprehensive Guide Toovercomingand Understanding Prostate Cancer, Prostatitis, and Prostateenlargement. From America's best-known authority on women's health, a new edition of the book the New York Times calls "the Bible for women with breast cancer". The landscape of breast cancer has changed. New, non-invasive diagnostic techniques, new knowledge about prevention, new genetics, new treatments, new alternative and complementary resources are beginning to turn breast cancer into a chronic and perhaps preventable disease. Dr. Susan Love, whose earlier work has won the trust of women all over this country and abroad, has entirely revised her indispensable guide to reflect the very latest information. Excellent; very thorough and "on-point". I am a 39 year old mother of four teenagers. In April of 1998 I was diagnosed with Lobular Carcinoma in Situ (LCIS) in my left breast. Boy, was I really scared. My mother died from breast cancer. I was introduced to "Dr. Susan Love's Breast Book" when I went to see my doctor about a lump in my "right" breast that had suddenly appeared six weeks before, it turned out to be benign. It was the then, undetected, accidentally discovered "mass" in my "left" breast that had LCIS! I underwent a fine needle aspiration which led to an excisional biopsy in each breast, and am now fine with no further treatment necessary. At the very on-set, my surgeon recommended Dr. Love's book to help me completely understand LCIS and what to expect during surgery and after. I found Dr. Love's book to be extremly helpful in allaying my fears and dispelling my misconceptions about breast cancer. Her book is very detailed, direct, honest, and compassionate. The chapter on LCIS with its diagrams took me step by step through the process of what was about to happen to me, from surgery, to recovery, to the emotions that I would experience. There were no surprises! My surgeon keeps a copy of Dr. Love's book in his waiting room on the table at all times and always recommends this book to his patients. I now recommend Dr. Love's book to my family, friends, and my other doctors too. Thank you, Dr. Love, for taking away my fear of "not knowing"! This is an excellent book, and well worth reading. 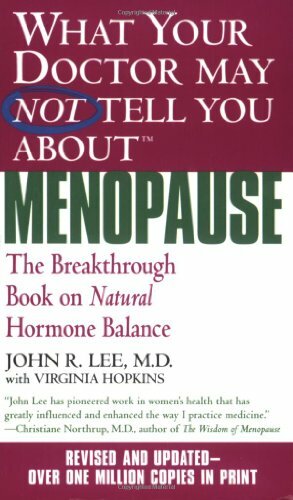 But it's probably the second book to read, behind "The Breast Cancer Survival Manual : A Step-By-Step Guide for the Woman With Newly Diagnosed Cancer" by John Link. My wife was diagnosed with breast cancer on January 5th of this year. Fortunately, she found it herself, through self-checking, and we live in an area where two of the world's best breast cancer treatment groups are located - the Breast Care Center in Orange, CA and the Memorial Care group in Long Beach. As of yesterday, we were fortunate to discover that, eleven months later, through a combination of surgeries and chemotherapy, the scans that were done last week on the liver, lungs and bones all came back negative, so we hope to have many more years together. Dr. John Link is the friend of a friend and we consulted with him on treatment. As part of the consultation, he also gave us a copy of his book, which is very readable and understandable. It's particularly good at giving guidance on how to put together a treament program that's right for you as an individual. The Susan Love book is excellent, particularly as a reference for all the information you want to know when your life or the life of someone you love is at risk. The difference between the two is that the Link book provides a great overview and a guide for getting treatment, and the Love book is the reference for all the stuff that you want to look up when you have a question. And if you're like us, you'll have lots of questions because this is all very complex and it's very difficult to decide on what the best approach will be for your individual situation. I bought this book because it seemed like a sensible thing to have. A day after it arrived from Amazon, a friend of mine had a lump detected on a mammogram. Four weeks later, she had a mastectomy. Actually I never read the book. I gave it to her before I had a chance. She thanks me for it every time she sees me. She said she had gathered a lot of info, but this book was the most informative and systematic of anything she'd read. She brought it with her to every appointment with her doctors. "I don't know how I could have dealt with this without it." So I'm now about to order a second copy as it's been only eight weeks since the first one arrived. I hope this copy sees much less use. After my devastating diagnosis of breast cancer 6 months ago, my surgeon recommended this book to me. It answered almost every question I had regarding my treatment options. It's a lot to digest all at once, so I have just been reading it chapters as they come up in my life. The surgery section is very helpful, and details the whole process from beginning to end. Dr. Love doesn't sugar-coat anything, so some of the information can be hard to digest, but if you are looking for honest, straightforward answers, this book is very helpful. When I was first diagnosed I was devastated and could not handle all the facts of breast cancer. It was only after I had somewhat gotten my bearings that this book became invaluable to me. It answered all those questions I forgot to ask my doctor and became a great comfort to me because I was able to find out things on my own, whenever I wanted, even at 3am. It empowered me. Wow!! Bad lipid profile? --this book is for you! With the common American diet, transfats in our food, you too will develop problems. Do you have high triglycerides, or bad HDL/LDL ratios? Is your LDL (bad) cholesterol creeping higher and higher over the years -to the point at which your doctor is urging cholesterol lower drugs (poison)? It is very possible it is not what you are eating. It is what you are NOT eating. Sure, you may want to start reading food labels and limit (stop) eating hydrogenated fats, but the information contained in this book -A diet exchanging Omega3 fats (as in unprocessed/ unrefined flaxseed oil) for other fat types, and adding sulfur based proteins to your diet, combined with the other surprising facts and studies -you will probably reduce your chances of developing cancer and heart disease. If you have developed cancer, the text strongly urges you to not ignore your oncologist's advice, but it gives you additional weapon for your fight against cancer. These weapons, alien to classical medical teaching, usually come in the form of food (plant teas) and lipid (fats) supplements -the flaxseed oil. This book is a must own (and studied) for everyone who has had a parent or sibling pass on from any form of cancer. And, even though this book is not a "diet" book, it will give the reader a new way to view food. It will help to modify America's behavior toward food. When the information in this book is observed and adhered to, you will loose weight. And because you will have increased your HDL lipid intake, you will not crave the snack foods containing the poisons that will leave your teenage children without your guidance. Oh... and sorry my fellow Americans... Although this book is not trying to make you a vegetarian (meats are good, they contain high density lipids -HDL-), the book will cause you to rethink the grilling/smoking of meats, nitrite cured meats (luncheon meats, ham, hotdogs, and wursted sausages) -and our beloved barbeque. 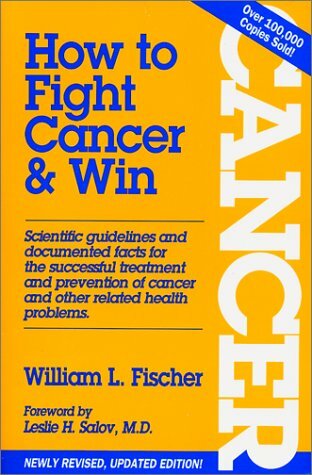 Fischer's book, describing the anti-cancer method of Johanna Budwig, is excellent. But the essence of it in application can be stated very simply: Eat low-fat cottage cheese combined with flaxseed oil (sometimes known as linseed oil). It's best to obtain the oil in the REFRIGERATED section of a natural-foods store. The refrigerated form resists rancidity, which naturally happens quickly with flaxseed oil at room temperature, even in a sealed bottle..
Lucy has had to contend with cancer from a very early age. At 10, she undergoes surgery and follow-up treatments to remove a cancerous jaw. This unfortunately alters her appearance and Lucy has to live with the hostile stares, cruel comments and stupid remarks made by insensitive people. Although Lucy uses the word "disabled," it is the opinion of this reviewer that Lucy was disabled in ACTION. As unfortunate as her health and appearance altering condition is, Lucy remains true to her core self. 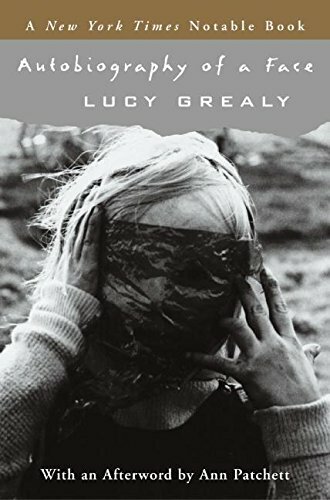 Bright, witty and extremely verbal, Lucy reminds the world at large of how character all too often is eclipsed by appearance. Lucy also inadvertently reminds all who have read this book that "able" is the core part of "disable" and that "dis" is simply a prefix. Therefore, she is more ABLE that disabled. That is a very affirming thought. Lucy is truly an inspiration and gives a good reminder to ALL persons never to judge somebody based on physical appearance. In this book, Lucy is truly beautiful. I had Ewing's sarcoma & related to Lucy feeling all alone. I read Lucy's book several years ago, all in one day. Her words, feelings, and thoughts captured my attention, as I fully understood her battle with cancer. I had Ewing's of the pelvis when I was 15, and there weren't any books that I read back then where the person lived at the end. How utterly depressing, since we are proof that you can survive cancer! I greatly appreciated the way in which Lucy described what it felt like during chemo treatments and surgeries, because her interpretation is not glossed over. There is no real way to describe the experience except to go through it for yourself to really understand it, but Lucy's words came very close! One day, I wish to write my own novel describing my struggle with cancer as an adolescent. I'd also love to talk with Lucy, one survivor to another, if possible. I just finished Autobiography of a Face and I found it just a beautiful, touching read. Lucy writes with such incredible introspection and heartfelt feeling that one must stop from time to time to just reflect on her insight. I truly wondered where she got the strength to endure all that she did. I felt her emptiness in situations and yet her strength inspite of it. Her mother just seemed to totally not get the whole experience or at least couldn't deal with it, so Lucy was left to her own devices. The insight into the boy she meets in the hospital who is paralyzed after a diving accident just blew me away. She writes, "I did it for him. I'd close my eyes to feel the height, see the bright blue of the pool winking below me, bend my legs, and feel the pull in my calves as I jumped up and then down, falling from one world of unknowing into the next one of perpetual regret." What a gut-wrenching insight into the soul of this young man. She allowed me to view the world from a whole new perspective and I thank her wherever she may be. She was definitely an old soul who hopefully fulfilled her karma. Clarks book gives what she claims is a cure for cancer. However, the book must be read carefully to make sure that one is getting the full meaning of what she is saying. Her approach is a herbal and bioelectric one. But this is not new. After reading the mixed reviews all I can say is that one is better off experimenting himself. Some criticize this book claiming that if such a cure were found Clark would be lauded by the world and the medical community. This is false and a fallacy from the argument of authority. One must go by evidence and nothing else. Many geniuses and note worthy discoveries have been ignored, without investigation. The history of science is full of examples. The author deserves to be heard, since in the search for truth nothing can be discarded, but investigated as completely as possible. Sadly, this is not the case with much of scientific research. One must investigate things himself and Dr. Clark gives people the oppurtunity to do so. Yes, I have read the book. No, I have not had cancer - simply an interest in herbal medicine & simple therapies that can be easily and cheaply applied by those who love someone who is suffering. People have said that the names in case studies have been changed so it is difficult to follow up (insinuating perhaps these 'case studies' are not real people?). I regard this complaint as minor - what book with case studies DOESN'T change the names to protect privacy? I read the book & found it very interesting - I guess I wonder what would be found out if the regular researchers (eg unis etc) spent only 1/20 of the amount they spend on developing new technology in simply researching (with an open mind) what Hulda proposes. But just imagine if it was found that what she says is true! They would all be out of a job! No more research needed - just the ability to encourage people to take responsibility for their own health by following some simple steps. My thoughts were - the causes really do seem plausible enough. And I know that if I were diagnosed with cancer I would be more than willing to spend a few dollars on some herbs to follow the program before proceeding with western hit or miss approaches. I guess when you read a testimony of someone who says "I" or "My mother" had cancer, followed the program & got well... what more can you say? Two or three witnesses should be listened to - usually ordinary people, they have nothing to gain or lose from their testimony - no profit, no glory. Can you say the same for others who speak against Hulda's findings? I thought I would comment on this book after reading the dismisals of it as a quacky hoax. True, Dr. Clark makes very strong claims that sound weird to the western mind that is used to alopathic medicine ruling our lives, but I think that if you're in a desparate situation and 'normal' medical procedures aren't helping you, you'd be a little dumb to not at least be willing to learn about other lines of thought. When I first started reading Dr. Hulda's theories, I also thought she was just paranoid and trying to tell you that you everything was dangerous. But when you have no other alternatives, you start to be willing to try things you once thought were ridiculous. I can, however, affirm the validity of many of her ideas that resonate with common-knowledge nutrition and herbology. Also, bioelectric testing is definitely not her idea-- it's being widely practiced in Europe and I have witnessed its reliability on myself. A natropathic doctor used it to correctly diagnose and then treat various viruses that I had that were not appearing in normal bloodwork (as often is the case) and symptoms cleared up. All this to say, don't write off something that sounds strange without being open-minded enough to try it yourself. Notice that the reviewers who had loads of negative things to say didn't say they'd actually tried these things themselves. Although I believe that alternative forms of medicine should not be dismissed out of hand, this book provides no useful documentation on its results at all. The book claims that all cancers are caused by a parasitic worm which can be killed with a simple home-made contraption. Although I thought the claim was far-fetched, I was interested to read the patient's histories. Given the medical histories in the book, it's impossible to say that there is any truth to the claims. In most cases, the author does not verify that the tumors have shrunken or gone away using an ultrasound or MRI or biopsy. The only way she tests for a "cure" is using a machine of her own design. The purpose of the machine is to test for a chemical created by the parasitic worm. If the chemical is not there, then the author declares the patient cured without checking to see if the tumor is gone or receding. This lack of independent verification is completely unforgiveable. On top of that in all of the case histories, there are no long term follow-ups with the patients. In fact, some of the patients are monitored for just a few days and declared as cured. We really do not know if the patients are cured and healthy or dead; they are not followed after their therapy with the author. I believe that this book is nothing more than a hoax to capitalize on people who are in desperate circumstances. If you are a cancer victim, ask yourself if you want to pin your hopes on someone who will declare you cured without even checking if your tumor is gone. I was so fascinated by this book and The Cure for All Diseases that I completed most of the steps even though I don't have cancer and it doesn't run in my family. I have no idea if the parasite herbs had any effect but the results of the liver cleanse are undeniable: I got rid of over two thousand liver stones (commonly called "gallstones"), most the size of peas and a couple the size of grapes, without surgery. Doctors would tell you this is impossible, but this relatively easy procedure has dramatic results, I highly recommend doing it. I did the dental cleanup, and I'm really glad I got all that mercury out of my mouth, but it didn't seem to help my depression. The only thing that has helped me is a deep colon cleanse (not in the book), hard work and exercise. As for the electronic "zapper", I built one, which was kind of fun, and used it, but I really can't say that it had any effect on me, and it failed to shorten the duration of a cold. Her explanation of the synchrometer is science way outside of anything that modern medicine recognizes, but before it is dismissed out of hand, as some of the reviewers here have done, it should be thoroughly tested clinically. Unfortunately that will probably never happen. This is the most definitive book I have ever read on the subject of the link between cancer and fungi. It is well thought out and superbly researched. Kaufmann and Dr. Beverly Hunt know what they are talking about. To help put this book into practice, Dr. Hunt has a companion cookbook that I would highly recommend (find it on eBay) called "LifeChange Cookbook, Low-Carbohydrate Essentials for Conquering Fungal Infection" by Beverly T. Hunt and Virginia O'Brien. A TRULY EYE OPENING THEORY! My sister bought this book and I thought she was crazy for paying so much for it; but I took it away from her and read it first!!! I wasn't done yet before I went out and gladly paid the price for my own copy!!! This book is truly worth twice the money! There are SO many things that this books pulls together; for health in general as well as for cancer. 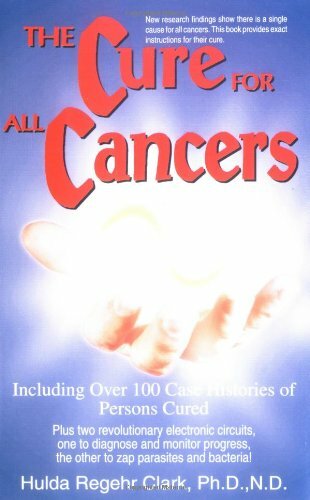 Since reading the book I have interviewed several cancer patients and have found out that the things pointed out in the book are actually true. They are also true to my experience, which might be cancer and might not. I am NOT going to the doctor to be poisoned and butchered to find out. But everything I've experienced hangs with what Doug says in this book, and with what cancer patients have told me, and I am trying the antifungal ideas set forth in this book...I heartily recommend this book to all, not just for cancer. As well as Doug's website, iknowthecause.com, and Dr. Mercola's website and free newsletter at mercola.com. (You won't find Doug's books in the used sections--I've tried. Apparently when people buy his books they never give them up!!!) Thank you to the people who are decent and honest and have integrity, and are trying to help us. This is an outstanding book that highlights many fascinating discoveries that anyone with cancer (or a loved one with cancer) should know. It's hard to believe that this information is not more publicly known. THIS BOOK COULD SAVE YOUR LIFE! Kaufman's "theory" regarding many diseases being caused by mold, fungus and yeast is saving lives. I have been CURED of arthritis and allergies, by following the advice in this book and in Kaufman's other books, "The Fungus Link" and "Infectious Diabetes". When using a Kaufman-type diet, I had symptoms of nausea, followed by a rash, which I believe was the yeast in my body coming up through my stomach, then out through my skin, in the form of a rash, in search of it's natural "food" of carbs and sugars. What a relief to know this cause of so many deadly illnesses is now gone from my body! This book will tell you how to seek a cure, not just relief from symptoms! We all want great-tasting meals, but we also want meals that help us maintain a healthy weight and live longer, healthier lives. Marrying the art and science of food, The New American Plate Cookbook is the first cookbook designed to accomplish all three goals. A team of cooks, nutritionists, food writers, scientists, and others who are passionate about food collaborated to create 200 recipes, from appetizers to desserts, that combine sound nutrition with culinary ingenuity. 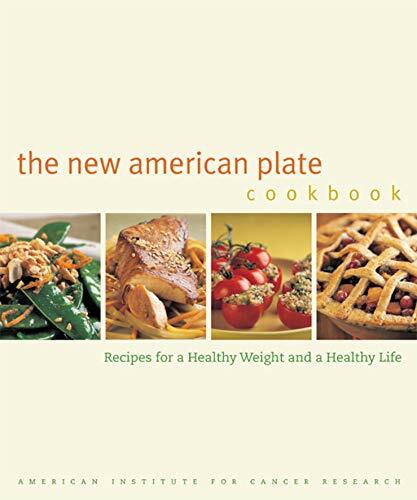 From updated favorites to innovative showstoppers, The New American Plate Cookbook delights the senses--with vivid colors, tempting aromas, and luscious flavors--while helping you reduce your risk of serious health problems like cancer and heart disease. Whether you wish to achieve a healthy weight or find a lifelong approach to eating nutritious meals, The New American Plate Cookbook will satisfy your conscience while it dazzles your palate. This book somehow ended up in the "special diets" section of my local bookstore, and I don't know why. This is my favorite new cookbook, period. Fresh ingredients, paired in interesting ways. (There's a citrus sauce for pasta that my finicky family loves.) Meat used to impart flavor and texture, not as the sole focus of a given meal.Processed sugar, flour and saturated fat nudged aside in favor of natural foods, prepared simply and elegantly. That said, there's a bunch of "comfort food" type recipes, updated so they're a bit lighter and more interesting.I NEVER thought I'd find myself making a casserole (too many memories of Mom's canned cream o'mushroom soup suprises) but there's a great potato, green bean and lamb casserole that turned me around. There's a great deal in the book's appendix about the science behind the recipes, and nutrition principles, and how phytochemicals (natural plant chemicals)protect health, and I suspect that's why people are lumping this in with the health cookbooks.Me, I bought the book because of the photos, (they're quite lovely) and because I suspected that my vegetable-hating 8-year old would love the curried cauliflower recipe on page 26.And I was right. I'm not a foodie by any stretch of the imagination, but I am trying to take off a few pounds and was looking around for something that had a little more variety than Atkins and South Beach, and a friend mentioned this book. It's an attractively photographed, well-laid out book.I was worried that the recipes might be a bit fussy, but I've tried several, and they're all really good -- lower in calories and fat without TASTING like they're lower in calories and fat. Filling, too. Had some friends over and made the Sweet Potato Chili, one of the salads, and the corn muffins, and nobody suspected the recipes came from a "health" cookbook. What I really like, though, is the overall approach.I try to keep up with the nutrition news, but there's just no way for me to get my head around "six servings of vegetables" or whatever.The common sense approach in this book -- just make sure that your plate's covered with at least 2/3 plant foods -- really appeals to me. Being a foodie, I love to cook for friends and family.I often turn to the cooking classics for inspiration, but generally find these recipes too heavy for every-day eating. When I opened the New American Plate cookbook, I found pages of attractive, tasty, healthy, and easy-to-prepare recipes (none of the recipes is longer than a page! ).I also learned a lot - both about healthy meal composition and creative flavor pairings.I honestly never would have thought to make fettuccine with figs and chiles, but it's delicious! The book is also visually appealing and well designed.The "cooking basics" section at the end is particularly helpful, and includes useful tips on food substitutions, proper storage and handling, as well as an extensive guide to the vegetables, fruits, grains and spices used in the recipes. I'm so glad to have this wonderful book as a kitchen resource. I just finished eating, but I'm already planning the menu for tomorrow night! This book is great and a must have for anyone with cancer or anyone wanting to help prevent cancer. It's easy to read and follow with plans that we can fit into our everyday life. The author is absolutetly brilliant and I want to thank her for writing a book like this that can help so many people. "Challenge Cancer and Win" is an invaluable book for anyone going through cancer treatment. The book is loaded with information about what foods do, how vitamins and supplements work, sample diets, and nutrition plans for specific cancers. A diagnosis of cancer left us feeling "out of control", but this book, written in a clear, easy to understand way has helped us to regain some control both during and after our treatment period. Our clinic has a copy of "Challenge Cancer" so others who are facing a diagnosis of cancer and treatment can reap the benefits of Kim's years of experience helping cancer patients. 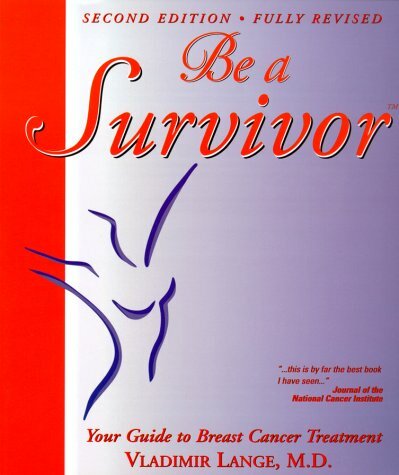 Having this book was almost like having a private "coach" to help us through our cancer treatment. 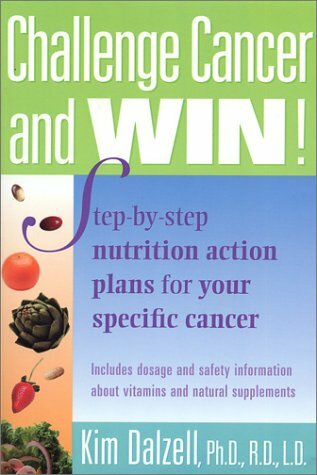 We highly recommend "Challenge Cancer and Win" to anyone who wants a better understanding of how nutrition can affect cancer and who wish to become more pro-active in challenging their disease. A must have for dietitians who see cancer patients! "Challenge Cancer and Win! Step-By-Step Nutrition Action Plans for Your Specific Cancer" is a must have! Being a dietitian who consults with cancer patients on a regular basis I have found this book to be invaluable. It provides in depth, evidenced based nutrition recommendations for various types of cancer. As someone who has spent time researching to put all the pieces together to devise useful cancer nutrition plans I am so glad to have stumbled upon this book which had done just that! Better yet, the information is presented in a reader friendly manner. Healthy for both of us! Not satisfied with having revolutionized the field of prostate cancer surgery, Dr. Walsh has teamed with Janet Farrar Worthington to produce a book that may well be the gold standard for communication about the disease and its treatment. Their lens is wide, embracing discussions about the epidemiology of the disease (e.g. variations among population groups, risk factors, associated lifestyle patterns, trends), the diagnostic tests available, the current approaches to staging the disease, the treatment options, and the experience under those options with potentential side effects, like incontinence and impotence. They draw fully upon the available medical literature and offer substantial detail on the anatomy, physiology, pathology, psychology, analytical chemistry of the disease and its diagnosis, as well as the approaches to treatment. Detail of this intricacy could be tedious or confusing, yet the authors present it in an unusually accessible fashion. 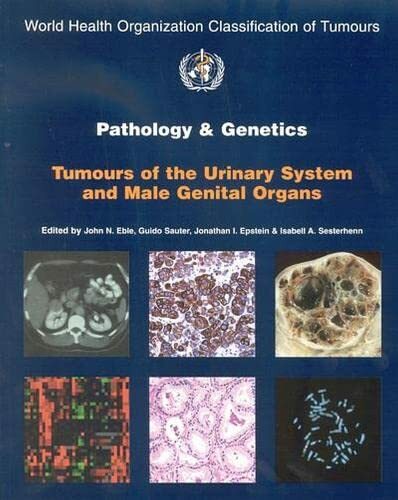 For the curious, the book offers an informative and thought-provoking review of the role of possible dietary and lifestyle triggers in the etiology of prostate cancer. For those sorting through--and preparing for--treatment options, the book offers important insights and practical guidance. Because prostate cancer is a disease fraught with uncertainty, and much is being learned daily about its possible causes, about the diagnostic limitations, and about the effectiveness of various current and emerging treatments, the book is aiming at a moving target. Written in 2002, there are 2004 elements the authors would no doubt add. 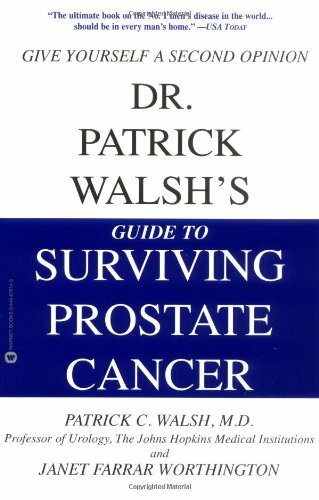 But, as is, Dr. Walsh's Guide is itself a pioneering resource both for those with immediate concerns about prostate cancer, and for the nascent field of men's health. It is a wonderfully helpful contribution. This book was recommended to me by Oncology Doctors and Nurses. I found it very helpful to read after the blur of diagnosis. It helped me to understand what was happening to me and what outcomes might be in my future. I found myself re-reading sections of it to gain a deeper understanding of all the new medical lingo. It helped me formulate the questions I should ask. Only "weakness" is that since it is written by a Urologist, the surgical options are covered most extensively while other, newer options are only lightly covered. So you will need to continue reasearching treatment options. Well worth the investment of money and time. A sincere thank you to Dr. Walsh for making it all comprehensible. This book is a must-read for anyone who has a prostate or knows someone who does! It provides complete, up-to-date information on all aspects of the prostate. The chapters are organized so that you can read the material that is most applicable to your situation. It answers any type of question that you may have - from prevention to the treatment of common prostate problems. The material is presented in a compassionate, caring way by a doctor who has dedicated his career to saving lives and to helping patients maintain their quality of life. Dr. Patrick Walsh is urologist-in-chief at Johns Hopkins whose urology department was ranked #1 in the country in a recent U.S. News & World Report analysis. Dr. Walsh is also known for his pioneering work in the development of the anatomic approach to radical prostatectomy, which involves nerve-sparing techniques that have reduced the possibility of impotence and incontinence. This procedure is widely regarded as the "gold standard" for prostate cancer treatment. So, the information in this book is simply the best available material on this subject. Does the book always recommend radical prostatectomy surgery? Definitely not! It offers useful information on radiation -- both external-beam and radioactive seed treatments. It discusses the use of hormone treatments. It helps you sort out which procedure is right for your situation. It also covers basic information about the prostate, prostate enlargement and prostate infections. Perhaps most importantly, it provides tips on maintaining a healthy prostate and testing procedures for detecting prostate cancer. And if prostate cancer is caught early enough, the book emphasizes that it is completely curable. A must-read book for all men and for the people who care about them! The book is very thorough, and does have a noticeable bias toward surgery. BUT it does an excellent job with that viewpoint, and surgery is indeed the "gold standard" for cure in many cases. That being said, I'd suggest buying this one but also reading "A Primer on Prostate Cancer" by Stephen Strum and Donna Pogliano, which is the best overall PC resource book I've seen, and better balanced. An extremely well written book referred to me by my urologist. Many of my friends also referred this book to me once they learned that I had been diagnosed with prostate cancer. While cancer is fearful, knowledge will lessen that fear and provide you with a course of action. Reading the book will enable you to more readily understand and validate the advice of physicans. Understanding this disease will also help you in asking the right questions about what you will be facing in the future. The book is written for the lay person to easily understand prostate cancer. The subject matter is organized in a manner that will enable you to initially skip some chapters depending at what stage of the disease you are at when you acquire the book. For example, if you already know that you have cancer as the result of a biopsy, you can go immediately to "your options to fight the disease" without first reading what the prostate gland is and where it is located. You can save the basics for a later date. Even if you don't have prostate cancer I would highly recommend this book to any man. If nothing else, it will inform you why your annual physical consists of a digital exam and a PSA analysis of your blood. Knowledge of the prostate is important to all men...be informed. Best cancer book I have seen! 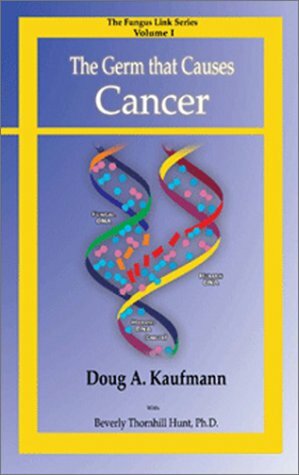 If you or someone you know has cancer, this is the book to start with.Easy-to-read look at:causes, twelve effective, alternative non-toxic "treatments", emotional and nutritional issues, and a closer look at the real ineffectiveness and dangers of conventional treatments(surgery, radiation, and chemotherapy). Includes contact information for obtaining each alternative treatment. Main part of book is 384 pages followed by Recommended Resources, Five Big Environmental Cancer Triggers, References, and a thorough Index. Alternatives are thoroughly explained and range from simple dietary methods to special supplements to clinics to go to for a range of treatments. These alternatives vary greatly in their difficulty and frequency of use and in their cost, but all are less expensive than conventional treatments both monetarily and in the toll they take on your body.These amazingly effectivealternatives not only Outsmart Your Cancer but work by improving your overall health! For those of us who are fcing the challenge of cancer for the first time "Outsmart Your Cancer" is that bright light that separates factual information from hype and marketing. 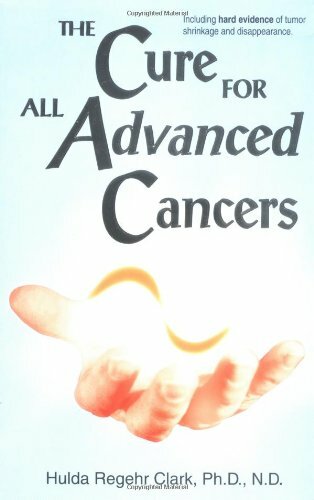 It took months and more internet surfing than I care to remember, plus aggressively marketed literature, promising "valuable information", before I found this book, which is the only book on alternative, non-toxic, cancer treatments that is thoroughly and well researched, objective and written in plain, layman's language. I strongly urge everyone facing this deadly disease to read this book in order to come to an informed decision relative to the appropriate treatment for your circumstances.Buy it now! 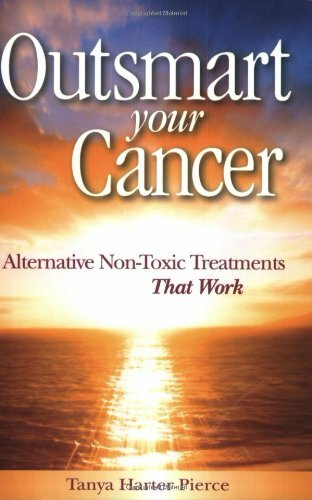 If you have cancer, or are helping a loved one with cancer, you will want to read this book!I have read numerous books and websites on alternative cancer approaches and none so far has compared to Outsmart Your Cancer.Every chapter amazed me with new insights.But what really thrilled me was finding out about some truly powerful alternative treatments - such as the formula called "Protocel"-- that I had NEVER heard about before, but that could rid the body of cancer even in many late-stage, metastasized cases.Other treatments, like "Cesium High pH Therapy", were ones I had already read about but had only learned of the original form of it.It was quite impressive to read that a much more assimilable and effective way to do administer cesium has recently come out and involves the little-known use of liquid ionic minerals.Plus, the chapter on "How to Evaluate Conventional Methods" gave me more practical information for weighing the pros and cons of mainstream cancer treatments than I'd come across before - including 8 very helpful questions to ask your oncologist about the treatment he or she is recommending. I believe that anyone who reads this book will be amazed at how much they learn and will feel they have treatment options at their fingertips that are effective, obtainable, and affordable! You have just been diagnosed with CANCER! The big "C." It's not someone else - it's YOU, and if you just sit there stunned, you will DIE!! - Miserably! You must do something, so you start asking around to find out your options. 1. Let someone else decide what is best for you and give in to chemo, surgery, radiation, and all the accompanying medical horrors. 2. Take matters into your own hands, and save yourself. If you decide to take charge of your own life, start by reading Outsmart Your Cancer.It is the result of some amazing research by Tanya Harter Pierce.This information would take years to find for yourself.The book is complete with information on all the major alternative non-toxic cancer treatments available today. This is a wonderful book.I am still alive today because I used one of the approaches described in Outsmart Your Cancer - I chose the Protocel treatment because it is backed by solid science, and it is a therapy compatible with my busy lifestyle.The book has an excellent description of Protocel, its history, how to take it, and how-and-why it works. Almost 18 months ago I was diagnosed with breast cancer (the tumor was larger than a big, solid walnut).Hoping to ward-off surgery, I went for chemotherapy.It was a lethal combination of three of the most deadly concoctions ever devised by humans.The side-effects are unspeakable. After 5 months of chemo, there was little change in the tumor, and radical surgery was indicated.Somehow death was not as scary as the radical surgery, radiation, and more chemo.I refused.Two days later I read Tanya Harter Pierce's description of Protocel, and I got my life back. If only I had read Outsmart Your Cancer before the chemo, I would have saved myself a lot of physical pain and heartache.Instead, thanks to Tanya's book and Protocel, I have not needed surgery and the tumor is almost gone.I still have my energy (I am doing pilates and taking tango lessons). Outsmart Your Cancer tells you all you need to know to evaluate these different treatments and how to get back to health.It is a real bargain, - complete with contact information, names, and numbers.You will find your time and money was well-spent. In the opening of Lance Armstrong's memoir, Every Second Counts (co-authored by Sally Jenkins), he reflects: "Generally, one of the hardest things in the world to do is something twice." While he is talking here about his preparation for what would prove to be his second consecutive Tour de France victory in 2000, the sentiment could equally be applied to the book itself. 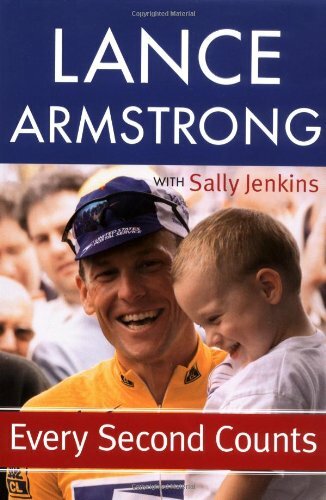 And just as Armstrong managed to repeat his incredible 1999 tour victory, Every Second Counts repeats--and, in some ways exceedsthe success of his bestselling first memoir, It's Not About the Bike. Lance Armstrong is a true American hero- his fifth time win of the Tour de France was not well celebrated- other World Events took first page. Lance works hard, unbelievabe number of hours in each day to become the best cyclist in the world. He deserves all of the awards and praise heaped upon him. 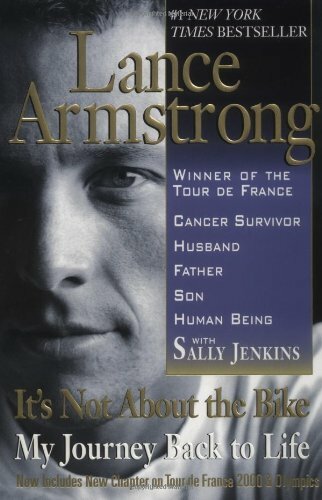 In this book, Lance Armstrong with Sally Jenkins assistance is able to describe and elucidate his philosophy of life. His brush with death and cancer is not over- he undergoes a series of testing every year, and he is not cancer free in his mind until his physicians tell him so. Most of the people with cancer that he meets, do not survive. He works tirelessly to raise monies for cancer awareness and research. He is quite aware that everyday on his earth is due to his good luck and faith in his physicians. Lance spends time discussing his relationship with the French people- his "doping" accusors and his time in court winning that battle. His win of he 2002 Tour De France was not his best win, but he learned from it and did not make those mistakes again. Most of us are quite interested in his marriage and there is a post script but not much mention of what went wrong, just that alot did go wrong. To maintain a high profile marriage, a high profile career, 3 young children and maintain any sense of privacy cannot be done when there is no time. Day to day life with the family is not possible when you are not there. Much has been written and supposition of romances gossiped, but none are mentioned and I would suggest that is none of our business. This is a book of winning and losing-hard work and hard times and some of the intricacies of such are outlined in good detail. This book is the follow up of the book, it's not about the bike which is about his career up till his second win. In this book, all his wins (5) in the Tour de France are mentioned. It is mostly about how he felt during the last three and how cancer played a role in it. It shows us there is more to life than just cycling. Cancer stays with a person for ever. His relationships with other cancer patients are emotional and gripping and is also shows he was the lucky one. This book stands out from other books about cycling, it is very personal and not just about baseball but also about life in general. He also explains some things that had happened in the Tours, his historic ride towards Mt Ventoux with the late Marco Pantani, his fall and Jan Ulrichs' fall. For those he have followed the Tour the last couple of years, this gives a very good insight, also because it is well written. Brilliant, Exciting, and Insightful Follow-up to 'the Bike'. This is a beautiful follow-up to Lance's first book (It's Not About the Bike). In this book, Lance shares what it is like for him as person who is also a "superstar bicyclist", "cancer survivor", and "cancer philanthropist". Though a young man in terms of age, Lance speaks with deep wisdom about what it means to live, how to feel alive, and dealing with life's non-life-threatening complexities. And then there are remarkable and thrilling stories about his Tour de France experiences. I loved reading this book! It is spectacular, especially in conjunction with his first book. Review by Evan Finer, author of "Effortless WellBeing"
If every second counts for you, you should probably skip this book and read something a little more worthwhile. Unlike his previous book "It's not about the Bike" this book lacks the drama and general interest for the common reader. That being said if you are a cycling fan you can probably find some behind the scenes stuff here to be interesting, but basically this is a recap of Lance's racing since the 1999 Tour De France win. Which means if you are a cycling fan you already know everything in this book and if you are not a cycling fan you wont care what's in this book. Overall it is more less just another puff piece athletic biography that seems more interested in re-enforcing Lance's status as a sports hero than it does delving into one of the most fascinating sports figures of a generation. Cancer can now be cured, not only the early stages, but also advanced cancer, stages four and five, including imminent death. We are not accustomed to thinking about a cure. We think of remission as the only possiblity. But this book is not about remission. It is about a cure. this is possible because the true cause of cancer has been found.The Cause of the malignancy is explained in the earlier book, The Cure For All Cancers. But removing the malignancy left behind the tumors as they were, prior to the malignant development. So, eliminating tumors became the focus of additional research, and is the subject of this book. The 21 Day Program described in this book does both. Once you win this battle, even advanced cancer can be cured. A groundbreaking book which should currently set standard for treatment of cancer. Recommend evaluating suggestions given in this book with muscle testing and/or dowsing to custom fit program to individual. An advancement over previously written book - A Cure For All Cancers. Ethics or economy? That is the question. Give up your oncologist if you want to cure yourself of cancer. Make the choice! Either you undergo a treatment of drugs, radiation and surgery which is worse than the disease itself,(success rates are worse than doing NOTHING) or you undergo a comprehensive treatment that is 95% successful. In 100 years we have gone from 1 person in 8000 getting cancer to almost 1 in 2! Obviously the cause of this disease is the multiple change factors of our food supply, environment and lifestyle. This book will show you ALL of these! This is a top notch protocol from a brilliant scientist. This treatment is so effective it is catching on like wildfire in Germany, Switzerland, Norway, Rome, Mexico etc. (Pope John Paul II physician Dr.Adolpho Panfilli follows it!) Why the popularity there and not in the western world? Perhaps cancer is a very lucrative buisness like cars or electronics? There is undoubtedly more money to be made off of "many" office appointments, drugs, operations, computer equipment scans(and the equipment itself.) Lets not forget the buisness of university which keeps young budding scholars adding to the "latest technology" in equipment and research to cure this menace. Do you not see how all this is connected? Simple answer to a simple question, "What are we relying on to find the cure to cancer?" Answer: Our ECONOMY! Unfortunately the words "cure" and "economy" don't fit very well! The word "economy" is a little more synonamous with "suffering." The choice is yours. Someone has finally flipped the coin. Thank you Dr. Clark! I can practice the methods in this book with confidence. This book would change the world , if people would just find it in their local book store , turn off the local news, and stop listening to their doctors. I am living in Moorhead Mn and if anyone is interested in begining treatments for anything from allergies to diabetes to aids and cancer I can promise outstanding results , Not by my own merit , nor the author of this book's , but the author of lifes! .Thats right we can give god the glory and much due praise for this amazing discovery. In response to the eloquent review written by the esteemed, Corey F.Dyok. Sir, in your review you have proposed that the cancer rate has skyrocketed from 1:8000 to 1:2... brilliant! In a brief review of the history of cancer for the lesser informed. Cancer has been documented in the literature for over 5,000 years. Over the past 10,000 years, life expectancy remained at 30-years until the past 150 years when life expectancy dramatically rose to 70-years. "During the past 150 years, there has been a progressive elimination of infectous diseases as a major cause of death, and because most children now survive to reproductive age a sudden population explosion has ensued"[Cairns, John]. So, plain and simply, diseases of old age occur frequently because we now have an aged society. And the diseases of old age are cardiovascular disease and cancer. FYI: the Federal Trade Commision is currently in court to try to shut down Dr. Clark's website for making unsubstantiated claims...in their own words: The FTC argues that Dr. Clark's work must be scientifically proven according to their standards, otherwise we may not publish it, and therefore you can't read it. Early in 1998, New York Times science reporter and author Gina Kolata happened to be seated at a banquet next to the Nobel Prize-winning scientist James Watson. When Kolata asked Watson what was new in the world of science, he replied, "Judah Folkman and angiogenesis, that's what's new. Judah is going to cure cancer in two years." Folkman, a longtime physician and medical researcher at Harvard University and Children's Hospital, was caught off guard by the excited news reports that followed Watson's remark, but there was good reason for excitement. For nearly four decades, when not busy doing such things as inventing the heart pacemaker and attending to hundreds of patients, Folkman had been puzzling out a peculiarity of tumors: at some point during their formation, they sent forth chemical signals that in effect "recruited" blood vessels to feed them. If those signals could be intercepted through well-targeted drugs, Folkman reasoned, and the blood supply to cancerous formations thus interrupted, then the tumors themselves might be starved to death, or at least to dormancy. This book clearly deserves many more than five stars. Dr. Folkman's War contains many valuable insights including how to: Raise children to be outstanding people; be an astute observer about nature to unlock new lessons; pioneer in a new field of science; and be persistent about something important. When the history of medicine in the twentieth century is written, Dr. Judah Folkman will be considered one of the most important figures. This book is the most accessible and complete source of information about his remarkable life and accomplishments. Dr. Folkman's research to date "has found applications in twenty-six diseases as varied as cancer, diabetic retinopathy, macular degeneration, psoriasis, arthritis, and endometriosis." "Ordinarily, researchers working in any of these fields do not communicate with each other." Angiogenesis looks at the way that capillaries are formed in response to the body's biochemistry to help and harm health. Tumors depend on this action to get the blood supply they need to grow. Wounds also rely on a similar mechanism to grow scar tissue. I have been following Dr. Folkman's career for over twenty-five years, and heard him speak about angiogenesis just a little over two years ago. Because I felt I was well-informed, I almost skipped this book. That would have been a major mistake on my part. 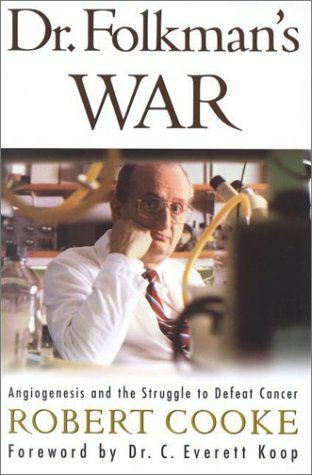 Dr. Folkman's War contained much new and interesting information that helped me to better understand the lessons of Dr. Folkman's life, as well as the future implications of angiogenesis. Unknown to me, Dr. Folkman had also played a role as an innovator in implantable pacemakers, time-released drug implants, and specialized types of heart surgery before he began his serious assault on angiogenesis. The discoveries had their beginning in 1961 when he was a draftee in a Navy lab in Bethesda, Maryland. He noticed that tumors could not grow unless they first recruited their own capillaries to bring an increased blood supply. "Over time, he convinced himself that there had to be some way to block the growth of those blood vessels." He was right, but it took a long time before he knew any of the answers. In brief opening comments about the book, former surgeon general C. Everett Koop, M.D. and Sc.D. observed how this new science evolved. "In the 1970s, laboratory scientists didn't believe any of it." " . . . [T]he critics' objections were hushed for good in 1989." "In the 1990s, the criticisms came chiefly from the clinical side, and the pharmaceutical companies didn't want anything to do with angiogenesis." The story is a very heart-warming one. Dr. Folkman's father was a rabbi who asked each member of the family each night what she or he had learned that day. He also constantly implored his son to "Be a credit to your people." His father clearly thought that Dr. Folkman would also become a rabbi. Having announced his attention to become a physician, his father told him, "You can be a rabbi-like doctor." This injunction was one he took to heart, often seeking out his father's counsel on how to console the families of his patients. His first taste of how close mortality is to all of us was when his first two children inherited cystic fibrosis. The younger of the two died, and the older one needed lots of special care to deal with infections. This probably made him a better doctor, by helping him see things more from the patients' points of view. Space constraints keep me from discussing the book's description of how angiogenesis developed, but if you like stories about trail-blazing research, you will be amply rewarded. The key hurdles are described, along with the blind alleys that were followed. Anyone reading this will see how important it is to add new skills to the study of any new subject. I was particularly interested in the way that press reports tended to harm the progress of angiogenesis, either by annoying other scientists, attracting hucksters, or delaying key deals with potential partners. We often think about freedom of speech being helpful, but here the case is a mixed one. My only disappointment with the book is that it does not provide as much clinical data about the drugs under testing now as has been made public. That material would have made for fascinating reading. There are also natural substances that can cause a tumor to shrink, and clinical studies have been very successful in growing and shrinking tumors for some time. I suspect that some member of your family will live a longer, healthier life due to future treatments soon to be available using angiogenesis. This book is a great way to learn more about the subject now, so you can encourage exploration of these experimental therapies where possibly appropriate. If anyone in your family now has cancer, this book is must reading for you! Dr. Folkman summarized the book nicely as follows: "Success can often arrive dressed as failure." "If your idea succeeds everybody says you're persistent. If it doesn't succceed, you're stubborn." May we all live longer and healthier lives due to the emerging medical treatments using angiogenesis . . . that were helped by Dr. Folkman's persistence! Persistence & vision overcomes dogma an ignorance. Through long, arduous practice, Buddhists believe it is possible to remove the lens of self-interest and dogma to perceive "absolute reality," with "automatic compassion." After reading Robert Cooke's biography one believes that Dr. Judah Folkman has never looked at medicine any other way. But the emperors of the scientific establishment have never dealt kindly with the boys who can't see their robes, as Cooke points out with several examples. (The Hungarian doctor who demonstrated that deaths from childbirth fever could be eliminated if doctors washed their hands was hounded by his colleages to suicide.) Dr. Folkman's heresy was the observation that tumors can't grow without stimulating healthy tissues to supply new blood vessels. Fortunately for all of us, Dr. Folkman's vision has been matched by his persistence in pursuing it. In following Dr. Folkman's path from his boyhood in Ohio as the son of a rabbi, to Harvard where he gained his self-confidence, to the Navy research lab where his angiogenesis hypothesis first formed, and back to Boston as a pediatric surgeon-scientist, Cooke makes what might have been a difficult and technical story into an epic adventure. In keeping with the fashion that writing a biography in chronological order is boring and passe, Cooke instead follows parallel thematic threads in Dr. Folkman's storied career. I personally found the resulting forward and backward jumps in time distracting, but not insurmountable. It would have been enough if this were merely a story of scientific progress and the triumph of a new idea over entrenched dogma, but it is also the story of a man whose vision is matched by his devotion to his patients. It should be required reading for all prospective medical students. Now angiogenesis-based therapies for cancer, atherosclerosis, blindness and arthritis are on the verge of exploding on the scene and Dr. Folkman's lab at Children's Hospital Boston is ground-zero. He and the generation of doctors and researchers that he has helped to train are revolutionizing huge swaths of medicine. When it happens it will seem like it was overnight, but those of us who have read Robert Cooke's book will know it was a lifetime in the making. Dr. Folkman is my hero -- a story better than SeaBiscuit! This book by Robert Cooke is incredible! Mr. Cooke is able to explain to the average layperson the medical concepts of angeiogeneis conceived by the most under-valued person of our time: Dr. Judah Folkman. Dr. Folkman is to cancer what Salk was to Polio! Personally, Dr. Judah Folkman is my hero! A real hero, deserving of the Nobel Prize....and I don't speak lightly. I am a cancer patient that has recently learned that my cancer (thought was beat) has advanced to my lungs. The ONLY therapy for me is in an ANGIOGENESIS drug therapy program for a drug currently in study and labeled as "PI-88." I am just so confident this drug will work. I am the only patient with my type of cancer cell (adenoid cystic carninoma), so I am a little bit more of a lab rat for this program. God Bless Dr. Folkman and h is incredible perserverance! His story should be a movie----a tale better than SeaBiscuit! He is my SeaBiscuit! Chances are someone close to you has succumbed to the ravages of cancer, while you and the medical establishment could only sit by and watch the process reach its inevitable conclusion. The good news is, for nearly 40 years, Dr. Judah Folkman has been pursuing a cure for cancer -- or at least a way to fight tumors more effectively than chemotherapy or radiation -- that only until very recently has garnered serious attention. Dr. Folkman's theory is called angiogenesis, the process by which cancer cells emit an agent which triggers the growth of blood vessels to feed the growth of the cancer itself. For years Dr. Folkman's idea was basically scoffed at as the flailings of an amateur researcher, but Cooke shows how Dr. Folkman has perservered -- while maintaining his brilliant career as a physician -- and eventually, through a slow accumulation of experimental evidence, as well as the discovery of several antiangionesis agents, turned opinion around. Throughout this engaging and fascinating retelling of Folkman's journey, Cooke also provides an eye-opening account of the workings of academia, medical research, and their relationships to those Orwellian biotech companies you keep hearing about. The science is clear and vivid, the battle to defeat cancer inspiring, and the promise of victory -- thankfully, finally -- just around the corner. I actually do not have cancer but am going through chemotherapy treatments for Hepatitis C, and found this book wonderfully encouraging and helpful. I have all the possible side effects and so I have lots of trouble eating. I am on a weekly treatment for a year so there are some days each week whenI can't eat. What I found the best about the book are the great easy recipes and the comments by patients and Dr. Ghosh. I found many recipes which I have already tried and my family loved the results. The recipes are easy and you probably already have the items at home or they are readily available. The book has helped encourage me to continue treatments and given me lots of easy food to prepare for my family. Having lived with cancer for 8 years and having had over one hundred treatments so far, I am thrilled to find a book that really talks to patients from patients who have lived through the same thing I am going through. This book shares real world recipes that are easy to eat and easy to make. In addition, the recipes have been eaten by patients who have the same problems I have had namely nausea, constipation, mouth sores, diarrhea and special diets such as neutropenia and low residue. The lists of recipes on pages 48 & 49 help me and family members chose food that I can eat AND that will benefit me for the side effects I am going through. This is incredibly encouraging!!! I especially appreciate the Q & A section from Dr. Ghosh and the diet plans for the special diets in the back of the book. Another great feature that I love are the special tips pages such as Snacks (p109), Humor and Healing (p149), Food during Treatments (p207), and Great Gifts (p223). I think this book would be the best gift to give to a cancer patient going through treatment. The best part of this book are the real quotes from real patients on nearly every recipe in the book. 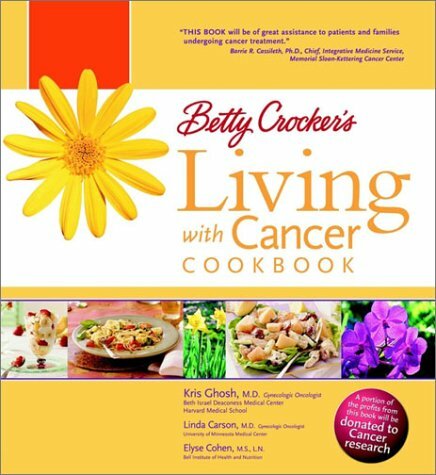 This book is a both a manual for Living with Cancer AND an excellent cookbook with tried and true recipes. Thanks Betty Crocker!! !